HarpHaven Publishing is a small press owned and operated by Lee Martindale. 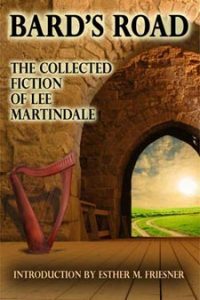 Twenty-nine of Lee Martindale’s short stories, from those that first appeared in anthologies such as Marion Zimmer Bradley’s Sword and Sorceress series and Esther Friesner’s Turn The Other Chick to four never-before-published tales. Introduction by Esther Friesner, cover art and design by Melanie Fletcher. 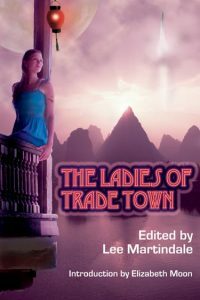 Fifteen tales of women and men who offer pleasure, companionship, comfort – and other things not so easily defined – for a price. Stories that span time, space, and genre by Rob Chilson, Mary A. Turzillo, Jana Oliver, Mark A. Tiedemann, Cecilia Tan, Catherine Lundoff, Melanie Fletcher, Brandie Tarvin, Rebecca McFarland Kyle, Melinda LaFevers, Tracy S. Morris, Gloria Oliver, Jim Reader, Merlyn Finn, and the Editor herself. Introduction by Elizabeth Moon, cover art and design by Melanie Fletcher. Between 1992 and 2002, Rump Parliament Magazine held a unique position: the only entity in the Size Acceptance Movement focused on activism. Publisher and Editor Lee Martindale maintained a mission statement that pulled no punches. “Working To Change The Way Society Treats Fat People”. 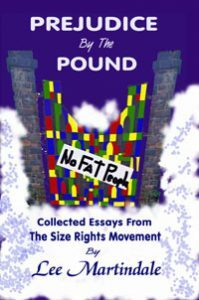 Unfortunately still relevant today, this is a collection of the editorials and essays that informed, enraged, amused, and inspired readers to think and act. HarpHaven Publishing accepts manuscripts when reading for specific projects. Manuscripts unrelated to those projects and/or received outside of announced reading periods will be discarded unread.